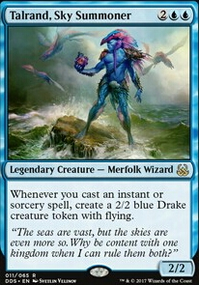 Mono Blue Budget EDH UNDER $30!!! just a test deck for first commander deck. Very cheap, suggestions welcome! Value engine with basically straight up blue instant control. Basically, board control, bounce, card draw, a few win conditions, and a commander that allows a 2/2 flying any time you cast nearly any of the above. Not all the cards are the best at what they do, but I'm using cards I had and other cards that are very cheap. Mono 13;Blue 13;Budget 13;EDH 13;UNDER 13;$30!! !